Cumbria Tourism has been given the go-ahead to co-ordinate a £285,000 marketing campaign to show potential visitors that the Lake District, Cumbria, is open and accessible by public transport. The high-impact marketing campaign funded by the rail industry aims to restore confidence following the recent, highly-publicised issues with train services into the county. Our vigorous calls for a campaign have been supported by a range of partners, including: Cumbria County Council, Cumbria Local Enterprise Partnership (LEP), local MPs Tim Farron, John Woodcock and Trudy Harrison, South Lakeland District Council, Transport for the North and Community Rail Partnerships within the county. It will not only focus on attracting people back onto the Lakes Line but will also encourage people to make better use of links to the Furness Line, the Cumbrian Coastal Line and mainline train services at Carlisle, Penrith and Oxenholme. Highlighting the wider network of buses and scheduled boat services will be additional key messages. Details are currently being finalised, but the campaign will get underway later this autumn, subject to full resumption of services. 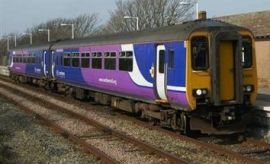 It will include advertising at key regional railway stations, Manchester Airport and the London Underground, as well as VOD (video on demand) on ITV Hub and Sky. We will also be managing a wide variety of digital marketing through social media (such as Instagram, Facebook, Twitter and Snapchat), alongside a PR campaign targeting national journalists and influencers. The new campaign will help encourage people to book holidays through the GoLakes visitor website and will build on the legacy of the GoLakes Travel and ‘See More’ sustainable travel projects, which Cumbria Tourism helped to co-ordinate. The Cumbria Tourism team will be working closely with both Northern and local Community Rail Partnerships to develop sustainable travel content and itineraries over the coming weeks.